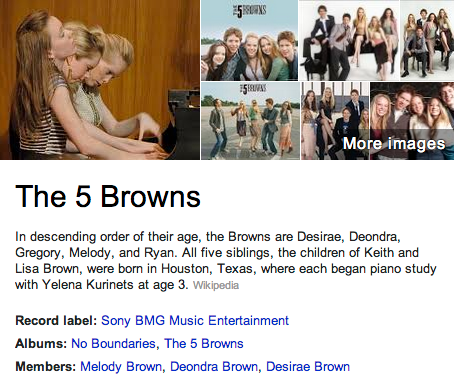 The 5 Browns is a family musical group. 5 siblings play 5 grand pianos together and make classical music “cool”. The Julliard trained bunch bring new life into the world of piano driven classical music.